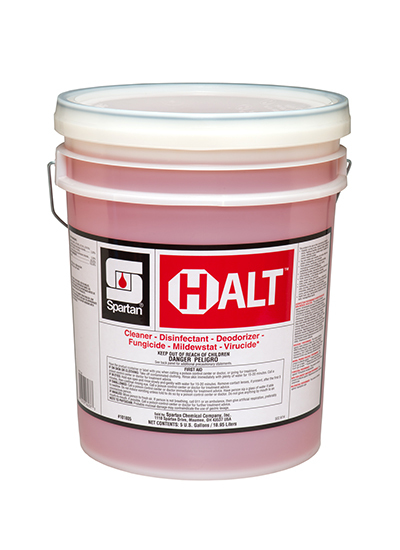 Halt is a hospital grade, one-step cleaner, bacteriacidal, virucidal, mildewcidal, fungicidal, disinfectant proven effective against norovirus, canine parvovirus and blood borne pathogens. At 1:64 dilution, Halt economically disinfects and deodorizes. With a fantastic, fresh scent, Halt leaves surfaces clean, germ-free, and safe!